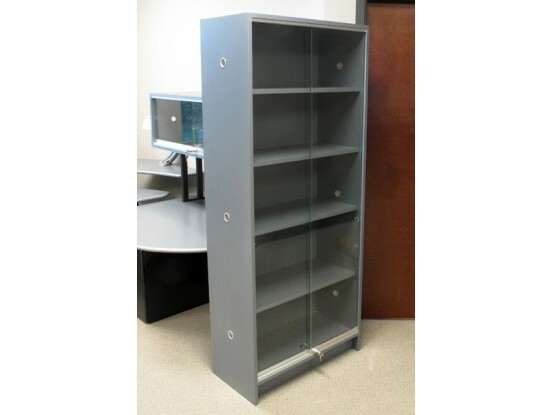 Add this impressive matching bookcase to your office for additional storage. 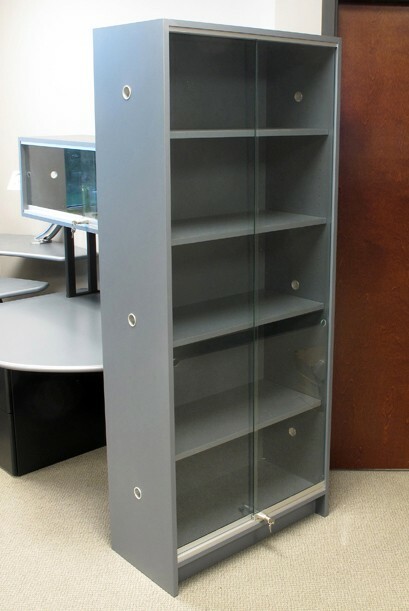 This unit is 72" tall by 30" wide and 12" deep, has 4 adjustable, removable shelves, and lockable, sliding glass doors. Manufactured in durable MDF, it is available in the same colors to match your Biomorph set-up, and it is shipped knocked down for easy assembly with a sturdy cam and lock system.